Megan & Joe came to stay with us for Easter vacation. 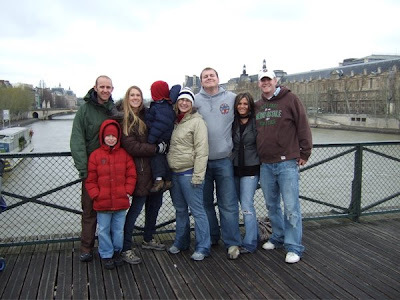 We had a great time touring Paris with them. Thankfully Joe speaks French so he could be our translator. What a great city. 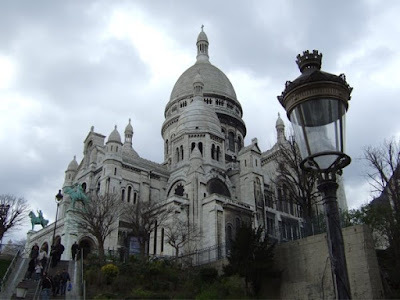 The Sacré–Coeur. 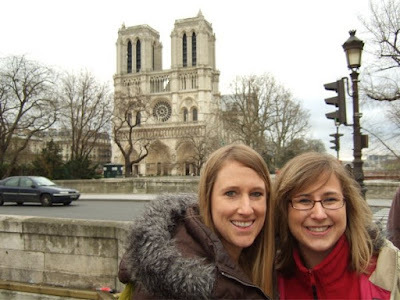 This basilica is located at the highest point in the city and made for an awesome view of Paris. 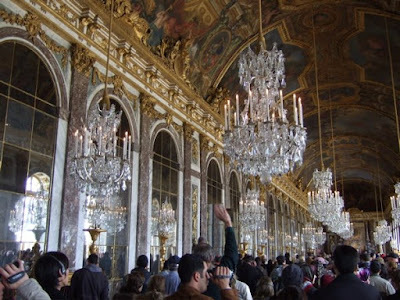 The Hall of Mirrors. It was fun to walk down this hall, kind of crowded though. 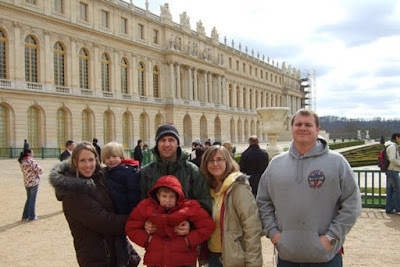 Palace of Versailles. Wow, what an amazing place. Louis XIV lived here. It was his dad’s hunting lodge and he turned it into this gigantic palace. 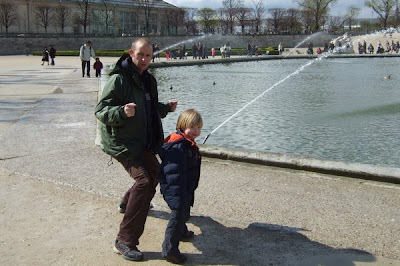 Striking a pose in-front of the fountain. 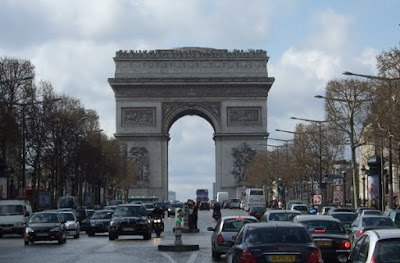 The Arc de Triomphe. Napolean built this Arc to commemorate one of his victories. We walked to the top for a wonderful view of the city. This nice French man insisted on taking our picture on this bridge. 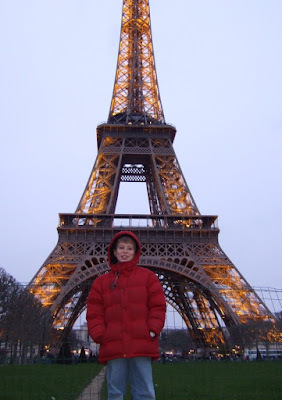 He told us (in French) how this is one of the most romantic spots in Paris and many movies are filmed here. He took like 20 pictures of us. 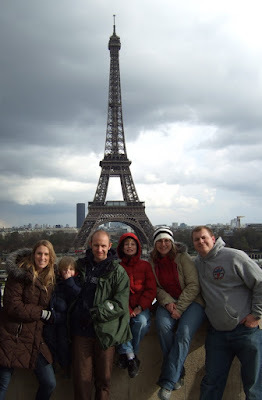 Andrew & Heather joined us in Paris too. They are living in Germany waiting for Andrew to deploy to Iraq. What a crowd. Everyone trying to get a look at the Mona Lisa. 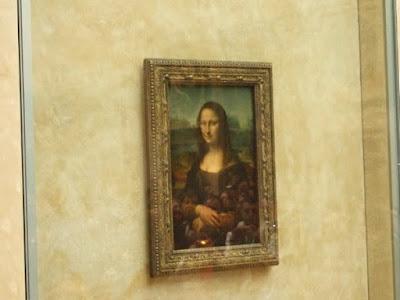 The Mona Lisa. I never knew it was so small but still a must see. 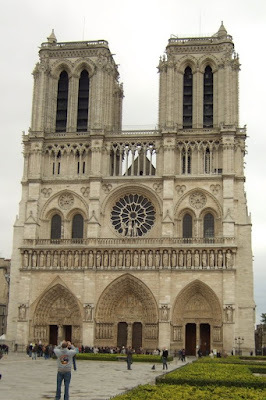 The Notre Dame. They starting building this church in 1160, wow. 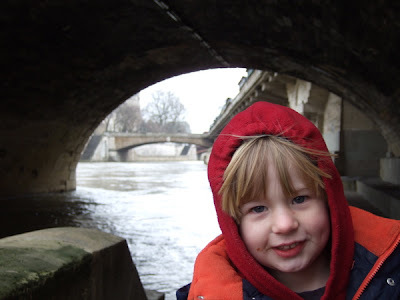 Walking along the Seine River. 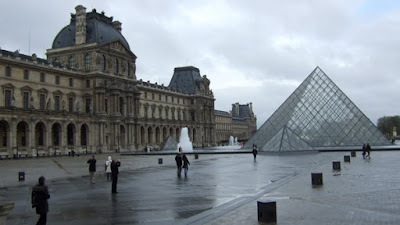 The boys recognized this area as the “Ratatouille” area. That is so cool Megan and Jo came out! You look so pretty! Hey Julie the pictures look awesome! What a fun trip,it was good to see you guys again! Let us know when you guys need some more AMERICAN food ha ha…..
Amazing! Love seeing you in these cool places. 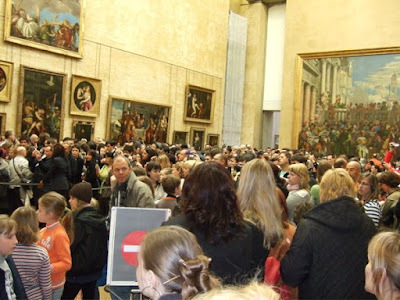 Isn’t it crazy, the huge crowd to see a painting? My sister and I and Isobel got to go visit a few years aog and I thought there is a wierd sorta reverence-amongst-strangers vibe there, It seemed everyone was waiting for a band to come out and entertain us. Ooh yeah we’re only creating a mosh pit to look at a tiny painting all together. 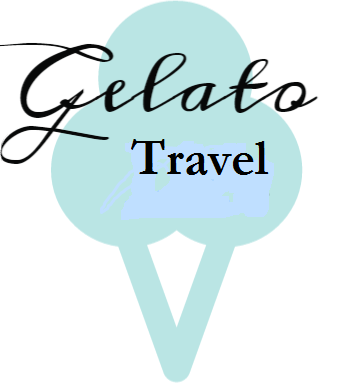 (although a very cool and famous one). hey, just looking over some of your entry. do you guys ever stay home? what an adventure, looks like your having so much fun.